Mr. Malcolm Ross receives a letter from Ms. Margaret Trelawny requiring his urgent assistance. Her father has been attacked, and she could his support. He arrives and finds her father's wrist slashed in seven consecutive lines near a steel bangle. Upon inspection of the room, an officer finds a letter addressed to her. It warns that he must be watched day and especially night for the assailant might return! This one is a real slog. Everything takes forever with the action consisting of legal precedence superseding a man's health, supposing over pseudoscience and the etiquette of mummy decency. The second attack does provide some good action and pose an intriguing mystery, but then the novel turns back to the slog of daily events. It could have used less turmoil about some servants leaving and more about the mummy herself. Silvio is Margaret's cat and does more toward solving the mystery than any of the human characters. He has an intense aggression toward a mummified cat in Mr. Trelawny's room. This allows the human characters to start heading in the right direction, sort of. Mr. Malcolm Ross is a barrister who loves Margaret so much that he'd do anything for her. He drones on so much about his infatuation that it is his prime characteristic. He's so blinded that even after he lists off the things that are clearly pointing to a bad end, he still does nothing. It's no wonder the cat gets heroic billing. Ms. Margaret Trelawny is Abel's daughter. There is some mystery as to her motives, but she is shown so be a generous and kind woman, though somewhat useless. This is a shame after the portrayal of Mina Murray-Harker in Dracula. Stoker writes one of the most competent women in literature and then follows her up this this. Ugh. Mr. Abel Trelawny is Margaret's daughter. 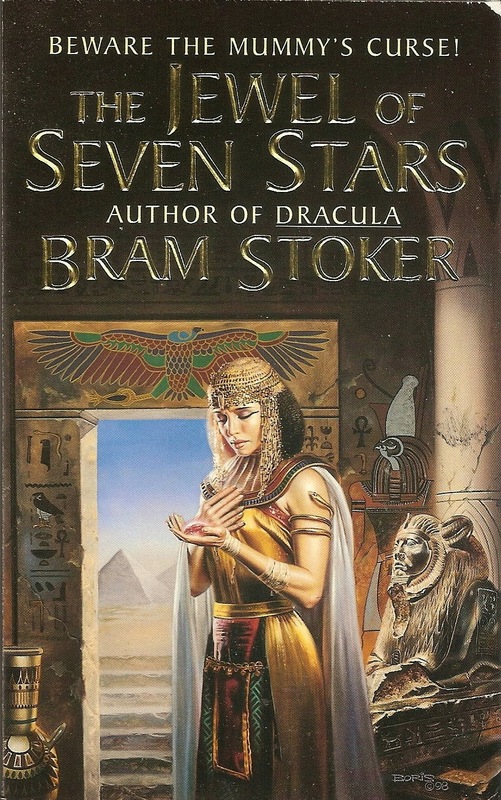 His desire to revive the mummy nearly gets his killed at the start of the novel. He's a zany professor who enjoys spending his riches on frivolous things like possibly getting him and his daughter killed. Eugene Corbeck is Professor Trelawny's assistant. He could clear up most of the plot up at the beginning, but he's one of three characters who keep pointless secrets to extend the mystery of the novel. Mr. Trelawny does at first, but he soon cracks. The other is Mr. Trelawny's lawyer who wastes a short time with his appearnce in the book. However, Mr. Corbeck remains tight lipped for far so long under the guise of 'secrecy' that it becomes stupid. It's secret because he swore an oath. 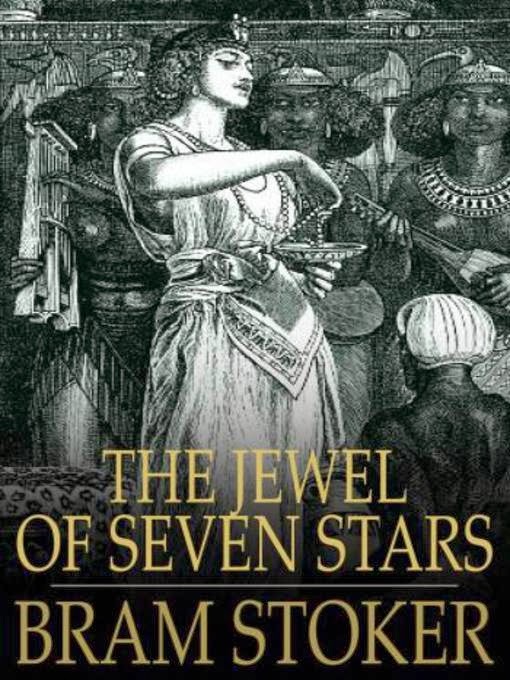 Queen Tera is an Egyptian Queen who ruled Egypt like Cleopatra. She was a powerful sorceress and made plans for her resurrection. Fortunately for her, the inept team of Mr. Trelawny and Mr. Corbeck stuble upon her. She is a foe more romanticized than dreaded by the characters, which is a shame, since she does make an interesting villain. Everything is so tinged by Malcolm's feelings for Margaret that the book is almost painful to read. There are some beautiful passages and clever suppositions, but it's so cloaked in mush that they're easy to miss. Also, everyone speaks in speeches that go on for at least a paragraph, so much so that short blurbs become noticeably more powerful than the long expressive speeches. There are two versions of the story: one with a grim ending and one with a happy ending. They are both let downs, though the grim ending is at least intriguing whereas the happy one is just stereotypical. Stupid characters, a snail paced romantic plot and two 'meh' endings would usually leave this one a bit lower on the scale, but there were some interesting ideas. While the thoughts on pseudoscience and the imagined technological feats of the Egyptians are drawn out, there are also some cool ideas for the steampunk fans out there. Many ideas come from Tera's own sorcerous plan, though some sections remain confusing all the way to the end. However, gone are the interesting plot twists, the truly clever foe and the diverse, necessary characters of Dracula. 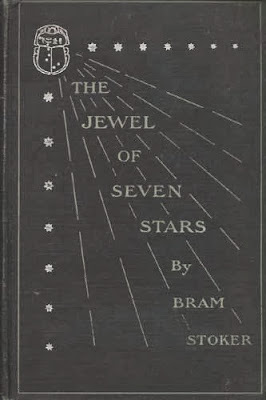 Ultimately, The Jewel of Seven Stars should be left only to the die hard Bram Stoker fans. The 1912 happy ending version can be found on Project Gutenberg and Kindle, but if you want the original 1903 version, check out bramstoker.org. The only differences are a missing chapter and the very end of the novel.